With its powerful engine choices, roomy and refined interior, a high level of utility and state-of-the-art technology features, the all-new 2017 Jaguar F-PACE in Bexar County TX has the performance for every road and the capacity for every day. Possessing the legendary performance, handling and luxury that’s inherent in the Jaguar DNA, with the added benefit of practicality and space, the phenomenal F-PACE is a performance SUV with maximum driving exhilaration. 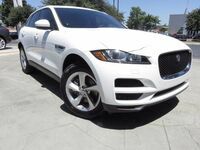 Whether you're from San Antonio, New Braunfels, Laredo, Schertz or anywhere else in Bexar County, we’re confident you'll be very impressed the 2017 Jaguar F-PACE at Barrett Jaguar. 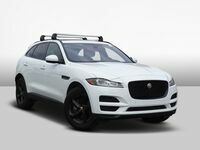 The Jaguar F-PACE delivers high levels of performance and torque at all engine speeds, offering a choice of a 2.0-liter i4 turbocharged Diesel engine and a 3.0-liter V6 supercharged engine, which are available in both 340-hp and 380-hp versions. It's equipped with Stop/Start technology and smart regenerative charging — harvesting kinetic energy from braking to charge the battery — for maximum economy, especially during urban driving. Also, driving is made safer and easier with the 2017 F-PACE's innovative Driver Assistance features. Lane Departure Warning System senses unintentional lane drift and warns you by vibrating the steering wheel if you stray from a lane without signaling, while Blind Spot Monitor alerts you of vehicles in your blind spot via an icon displayed in the door mirrors. Additional Driver Assistance features include Lane Keep Assist and Driver Condition Monitoring, Adaptive Cruise Control with Queue Assist and Traffic Sign Recognition with Intelligent Speed Limiter. The 2017 F-PACE's powerful and agile looks and sporting character conveys a unique road presence. Visually inspired by Jaguar F-TYPE, the F-PACE is a performance SUV with the DNA of a sports car. The proportions of the F-PACE support a low drag coefficient of 0.37 (V6 engines). The result is that the F-PACE really is as sleek as it looks. Optional LED headlamps, featuring Jaguar J-Blade LED daytime running lights, add to the commanding presence of F-PACE on the road, while its extensive choice of lightweight, aerodynamically efficient alloy wheels perfectly complement the F-PACE's dynamic look. an easy-clean, rubberized surface, perfect for damp or muddy equipment. Also, Gesture Tailgate enables the driver to operate the tailgate simply by presenting your foot under one of the car’s rear flanks. Additionally, the F-PACE is well-equipped with a wide array of advanced technology. This includes the InControl Touch multimedia system, which features an 8-inch touchscreen, navigation guidance, Bluetooth phone connectivity, integrated text-to-voice, precise climate control and Jaguar InControl Apps. If you'd like to get behind the wheel of the all-new 2017 Jaguar F-PACE, then don't hesitate to contact us at Barrett Jaguar to schedule a test drive!